Nate is a great runner. 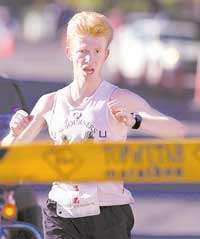 He's done well at the UVM a few times and other local marathons. He's currently training with Matt Poulsen and crew... Should have a stellar performance at SGM this year.